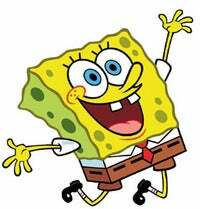 Spongebob Savior: Will Kid-Friendly Licenses Save THQ? Earlier today, we reported that THQ's portfolio of Nickelodeon titles has hauled in more than $1 billion in sales, with the publisher looking forward to its 2008 lineup of more Nickelodeon properties. THQ's survived a series of hard knocks in the market thanks to the strength of its kid-friendly titles based on licenses from the likes of Nickelodeon and Pixar, even while its stock has taken a serious dive since January of this year. The company's about to announce its fiscal fourth quarter results tomorrow - as a new year begins for THQ, is it on track for smoother sailing? It's been somewhat of a mixed bag for THQ over the last few months - the company saw a studio acquisition (Big Huge Games) at the beginning of 2008, while on the other hand, its Sandblast and Rainbow studios just recently saw layoffs, according to reports. While it's canned a couple of its former key franchises, Stuntman and Juiced, it saw a boost in sales last quarter thanks largely to its WWE SmackDown vs. Raw 2008 and MX vs. ATV Untamed. Thanks mainly to its family portfolio, though, THQ's hung in there, and most analysts seem to believe the worst is behind the company, seeing them poised to climb in the year ahead thanks to more attractive license opportunities for 2009 — for example, analysts frequently comment that they expect THQ's upcoming game based on Wall-E to perform better than did the Ratatouille game, because robots are more likable than rats. Both Cowan Group analyst Doug Creutz and Wedbush Morgan's Michael Pachter expect THQ to remain a little conservative on its 2009 estimates, since it turned out to disappoint on last year. Still, Creutz says the publisher can outperform the overall market by 20 percent, while Pachter thinks it'll stay in line with overall market growth of 10-15 percent. So with games based on more Nick properties including The Naked Brothers Band: The Video Game, Tak and the Power of Juju, Avatar: The Last Airbender, SpongeBob Squarepants and Back at the Barnyard, THQ may turn a cautiously optimistic eye to the future — we'll see when results and future guidance are revealed tomorrow. For more details on THQ's upcoming Nickelodeon portfolio, check out our earlier story. Note the "parkour-inspired" gameplay for the Tak and the Power of Juju game — everyone's catching the parkour trend train, it seems.